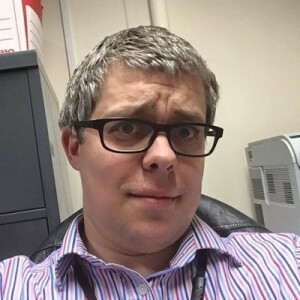 Dr Peter Taylor (BSc, MBChB, MSc, MRCP) is a Clinical Senior Lecturer specialising in endocrinology and epidemiology at the University Hospital of Wales and Cardiff University. He received his undergraduate and medical degrees from the St. Andrews University and the University of Manchester. He undertook his core medical training at the two teaching hospitals in Edinburgh, before commencing specialist training in diabetes and endocrinology in Bristol, Bath and Cardiff. During his clinical training he received a prestigious MRC scholarship to undertake a masters’ degree in epidemiology at the London School of Hygiene and Tropical Medicine. He undertook his PhD in thyroid epidemiology under Professor Colin Dayan and Professor Nicholas Timpson. His research has focused on the effects of common variation in thyroid status as well as thyroid hormone prescribing. In this work, he has also published the first whole genome sequence study to identify rarer variants associated with thyroid function and published the first Mendelian Randomization in thyroidology to better clarify the relationship between thyroid hormone and body composition. He has also studied the impact of endocrine disruptors in pregnancy on offspring IQ and has examined the potential benefits of correcting mild – moderate iodine deficiency. He has received awards at both national and international conferences for his work and has published in leading medical and endocrine journals including Nature Reviews Endocrinology, Lancet Diabetes and Endocrinology, JAMA, JAMA Internal Medicine, Nature Communications, Thyroid and the Journal of Clinical Endocrinology and Metabolism. Weekly intramuscular injection of levothyroxine following Myxoedema: A practical solution to an old crisis Case Reports in Endocrinology. Genetic abnormalities in thyroid hormone deiodinases Curr Opin Endocrinol Diabetes Obes. Maternal perchlorate levels in women with borderline thyroid function during pregnancy and the cognitive development of their offspring; Data from the Controlled Antenatal Thyroid Study J Clin Endocrinol Metab. TSH levels and risk of miscarriage in women on long-term levothyroxine: a community based study J Clin Endocrinol Metab. Falling threshold for treatment of borderline elevated TSH levels – balancing benefits and risks: evidence from a large community based study JAMA Intern Med. Impact of iodine supplementation in mild-to-moderate iodine deficiency: a systematic review and meta-analysis. Eur J Endocrinol. Prostaglandin F2α (PGF2α) Effects on Adipocyte Biology Relevant to Graves’ Orbitopathy Thyroid. A review of the clinical consequences of variation in thyroid function within the reference range. J Clin Endocrinol Metab. Thyroid-stimulating hormone-receptor antibody and thyroid hormone concentrations in smokers vs. nonsmokers with Graves disease treated with carbimazole. JAMA.